When you see a conversion in a report, you might think: My customer clicked on this ad and then immediately purchased my product or joined my list. Sometimes this is true, and sometimes it isn’t. In the world of advertising, it’s important to account for two types of conversions: post-click and post-view. 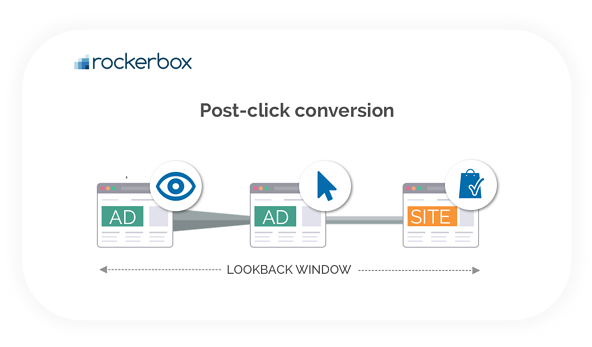 Post-Click Conversions occur when a user is served an ad, clicks on it and then converts on your site within a set period. This set period is usually referred to as a lookback window (30 days is the most common window used). Post-View Conversions occur when a user is served an ad and didn’t click it. They later returned your site (via some other path) and converted within a set period. To add more color here, let’s use car shopping as an analogy. Scenario 1: You visit a car dealership without having done any research on which car is best for you. So, you chat with a salesperson about your options and then make your purchase. Chatting with the salesperson is the main driver of your purchase, not any action that came before this. This is similar to a post-click conversion in which your click is considered the main driver of your conversion. Scenario 2: You research cars for weeks online. You then visit a car dealership, bypass talking to a salesperson (because you already know what you want) and make your purchase. This is similar to a post-view conversion in which your previous exposure to a brand is considered the main driver of your conversion. Why is post-click more common? Also, post-click has anecdotally been considered more valuable because a click is a clear indicator of a someone's interest. Someone had a question or wanted something, saw your ad and determined that your offering was helpful. 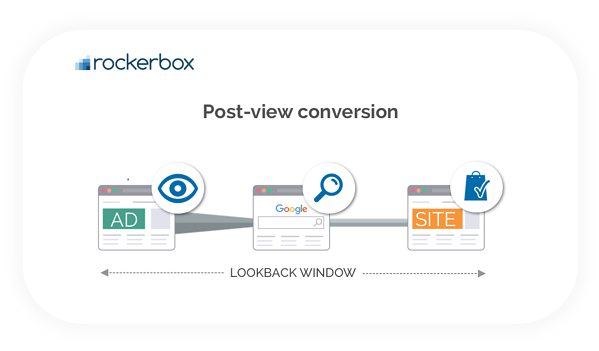 It's a straightforward conversion path, giving the advertiser simple insight into what’s working or not working, similar to last-touch attribution. Post-click appeals more to bottom-of-the-funnel-type performance marketers or direct response advertisers. It doesn’t account for top-of-the-funnel marketing efforts that promote brand awareness. Also, as everyone has heard by now, “people don’t click on ads.” (Industry reports have indicated that less than 1% of the Internet population are even classified as “clickers”. This implies that 99% of consumers don’t even click on any ads). Post-view conversions often give you a more complete picture of your marketing funnel. Think about ads on the subway. No one can click on these — this doesn’t mean they never have any impact. Similarly, users who see an online ad may not click it because they don’t have an immediate need for your product or solution. This doesn’t mean they won’t remember your brand at a later date when they’re in a more appropriate position to convert. If an ad was viewed multiple times, across multiple publishers, do you attribute the conversion to the last ad that was seen? What about all the other impressions prior to it? Did those exposures play no role in the conversion? What if an advertiser purchased multiple placements on a page? Which ad placement would the conversion be associated with? You can see now that post-view conversion attribution becomes fuzzy pretty quickly, and this is a big reason why machine learning multi-touch attribution models are so valuable. When you can turn post-view conversion tracking from a “soft methodology” into something more concrete, you can more accurately assign value to your marketing touchpoints.